The group of dedicated volunteers visited the elderly at "Project Dignity." Once again a team of Global Family Philanthropy volunteers traveled to Haiti to check up on our projects and spread their love. The team departed in June for Ouanaminthe with full suitcases and hearts filled with excitement and anticipation. The volunteers did not waste a second. Upon arrival they immediately headed over to GFP children's home where the kids were waiting with smiling faces and open arms. The volunteers were eagerly awaited at Project Dignity in the small village of Derac. With arms full of pillows, sheets, reading glasses, slippers, socks and other supplies the team spent a whole afternoon and evening with the elderly. The staff at Project Dignity surprised the visitors with a one year anniversary celebration with a service, music and a meal for the whole village.The elderly in the home are doing well and enjoyed their time with our volunteers. As expected and greatly appreciated, the Catholic Church is taking great care of our medical clinic in Malfety. Our impact continues to benefit the community and medical volunteers looking for a well-equipped site to provide services now have a facility to utilize. We have truly procured a needed resource in an area with very few medical facilities. One of our goals has been to provide clean drinking water to Project Dignity and the areas that need it most. 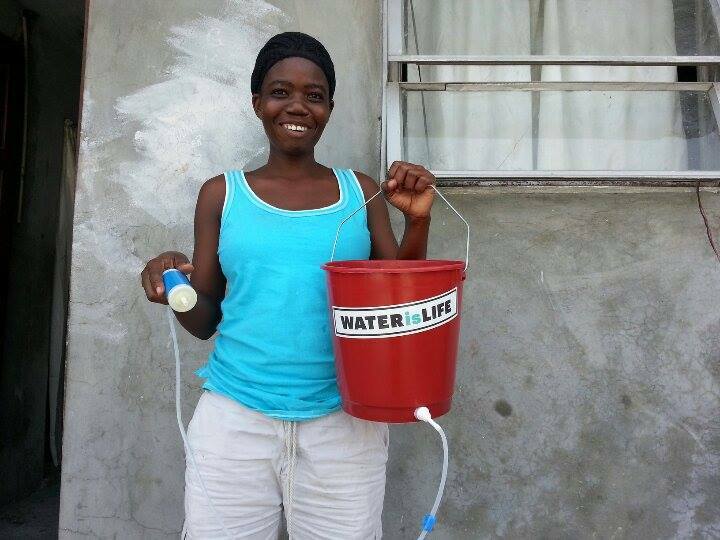 As we continue to research our options we came up with an interim solution: WATERisLIFE Nano Bucket Filters. The Nano Bucket Filters provide an effective way to purify water. This ultra purification system does not require chemicals; it is efficient and it does not remove natural, valuable minerals such as calcium and magnesium. GFP purchased 15 filters and with the assistance of our in-country helpers, Audlin and Roshan, we purchased buckets in a nearby city. Before the trip, one of our volunteers trained with a WATERisLIFE representative. 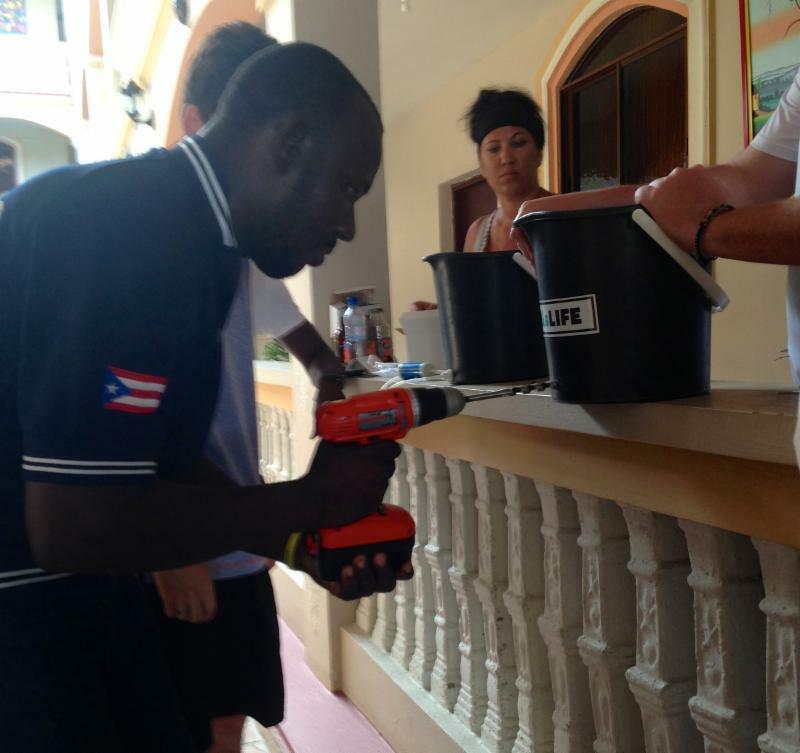 While In Haiti he did several demonstrations to teach the locals how to properly use and maintain their new gifts. 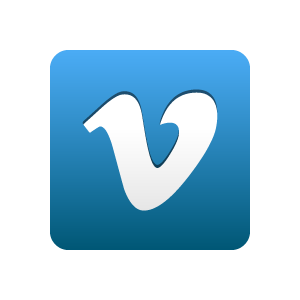 The filters are being utilized in Derac, Bon Samaritan and in a village outside of Cap Haitian. Teaching assembly and maintenance of Nano Bucket Filters. purified water for her family. 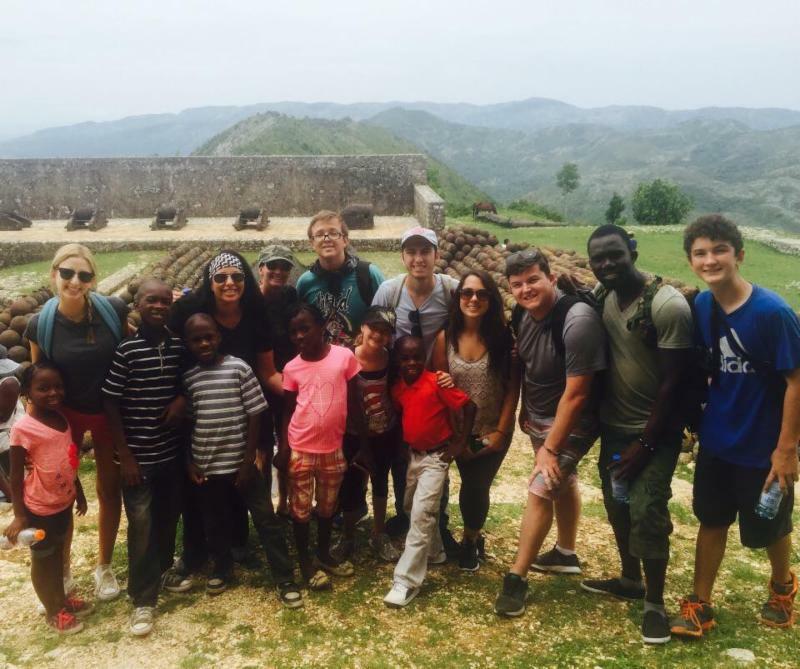 On this trip, our volunteers and five of our eldest Haitian children had the opportunity to visit The Citadelle Laferrière (Citadel). The Citadel was built several miles inland atop the 3,000 foot Bonnet a L'Eveque mountain. It is a large mountaintop fortress in northern Haiti, approximately 17 miles south of the city of Cap Haitian. It is one of the largest fortresses in the Americas and has become an icon for Haiti. Our group ascended the mountain on horseback, arriving at this breathtaking fortress for a guided tour led by a local Haitian. 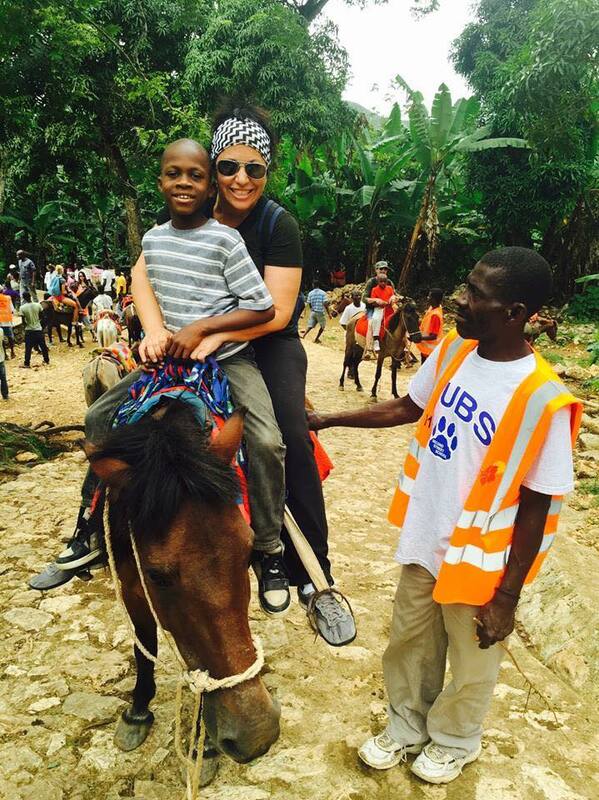 We believe that sharing the history of Haiti with our GFP children was a truly unforgettable experience! Stacey Webb and Evanson ready to summit Bonnet a L'Eveque mountain by horse! The whole team at the top! 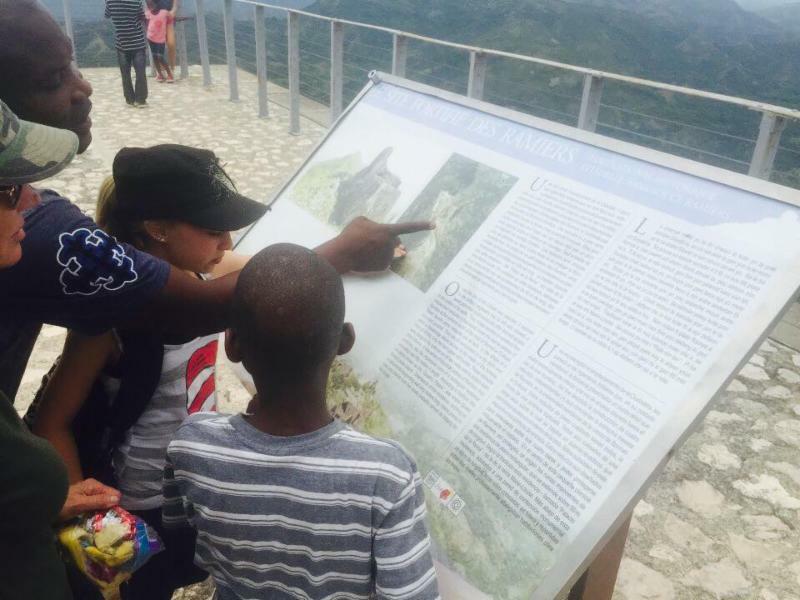 Haitian tour guide sharing the history with our children! 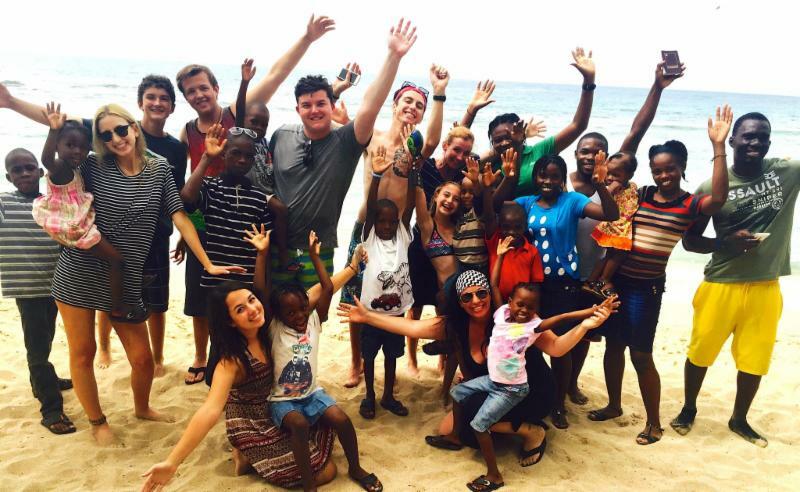 Last but not least, the volunteers and children enjoyed a well deserved day at the beach. With warm water and sandy toes the volunteers spent the day playing with the children. This was a much deserved reward after several days of hard work. As always, it was difficult to say goodbye. The afternoon came to an end with endless hugs and kisses. They will be eagerly awaiting our next trip! Our traditional trip to the beach with the whole family! Welcome home Wood and Kenley. 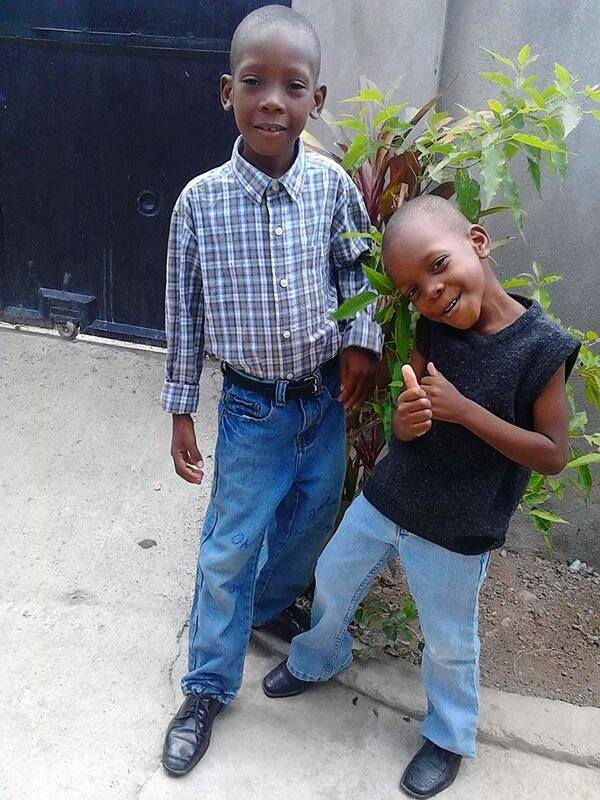 In June of 2011, two sweet boys arrived at the GFP home in Les Cayes, Haiti. The boys were naked and very malnourished. They were abandoned before the age of three. Their very young father drove a "moto" (motorcycle taxi) for a living and left them alone while he worked. 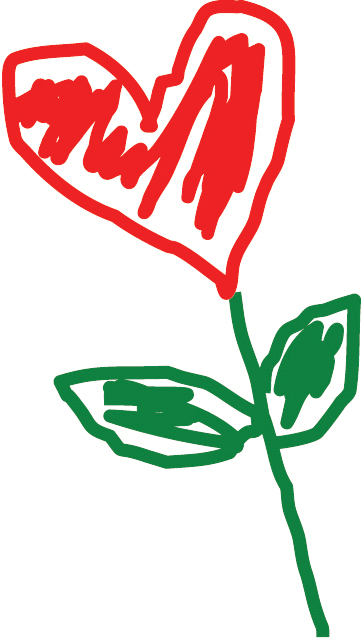 He realized the boys deserved better and turned to GFP for help. Wood and Kenley were graciously accepted into the family. These little rascals had the most delightful personalities and became favorites of many of the volunteers. Wood's large soulful eyes and his tendency to have his two fingers in his mouth was just part of his bright charisma. A bit shyer than Kenley, Wood would rely on his younger brother to make the initial connection before venturing over with a huge, contagious smile. Kenley was very small for his age but had a huge spirit. He loved to wander around and be a part of the action. His eagerness to be involved was exhausting at times. He would frequently fall asleep while leaning over a bed or chair! with us for almost three years. When GFP moved to Northern Haiti, their father wanted them to stay in Les Cayes with him and their grandmother. GFP helped secure another "moto" for their father and rented them a home to help support their family dynamic as GFP headed north. We were hopeful that with the grandmother's help, the boys would be taken care of. With great sadness, we said our goodbyes and moved to our new home in Ouanaminthe. A few months ago, GFP received word that the boys were not doing well. Their father had run off and the grandmother was unable to feed and care for them properly. 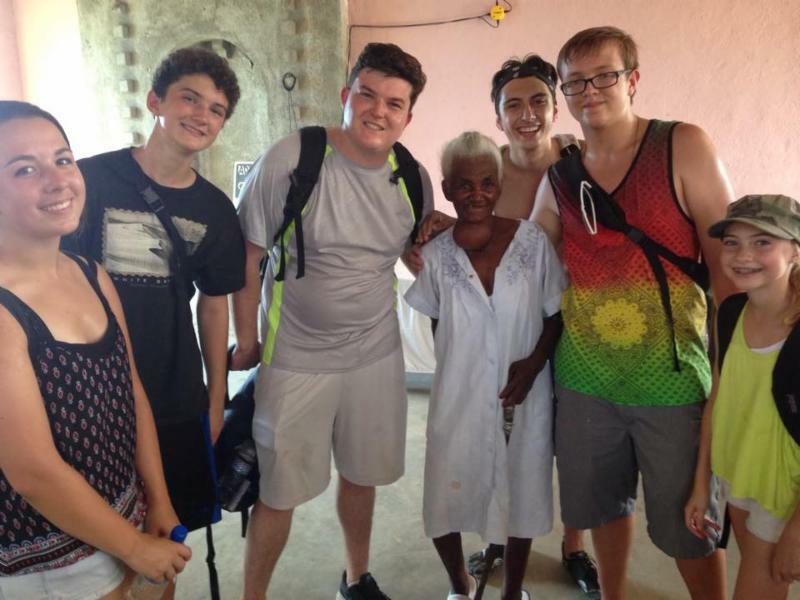 We immediately reached out and offered the grandmother and boys a place to stay. The three of them soon made the trip to GFP's new home where the boys quickly assimilated back into the family. We are so happy to have them reunited with us! Their grandmother, a lifetime resident of Les Cayes, found the transition to Ouanaminthe difficult and decided to return home. 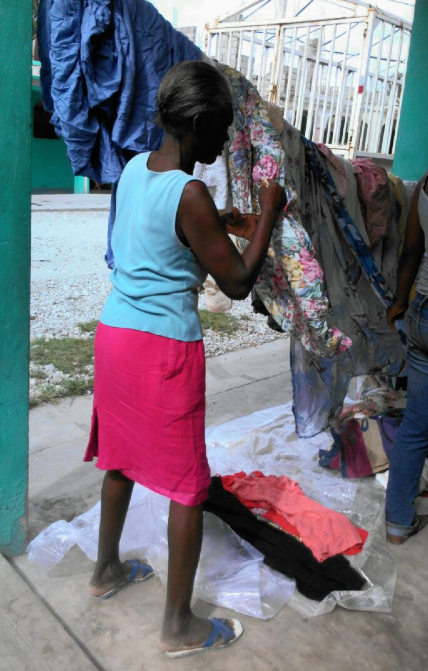 GFP helped her get established in a new business venture selling linens, curtains, and dresses. She is now able to support herself and is doing well. We assured her that she will always have a place to stay with us. Our home and hearts are never too full! 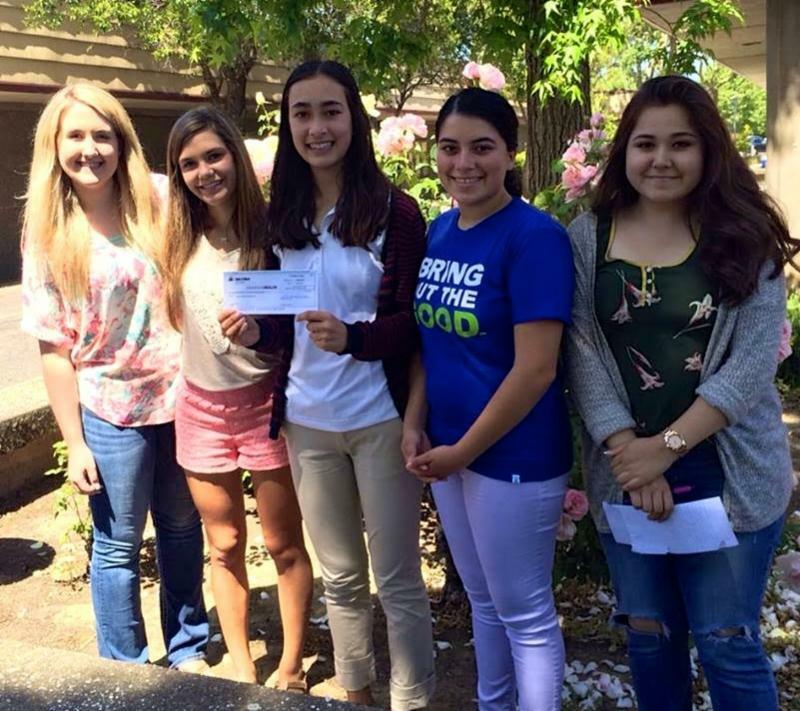 Global Family Philanthropy has been recognized by a group of high school students in Napa, California. Five students: Lauren Odell, Kelly Frye, Kiwa Anisman, Nadia Barboza, and Leslie Garaged, at Vintage High School held a fundraiser in April. The girls were able to raise close to $800.00. The money was given to GFP to continue our philanthropic outreach in Haiti. The girls cannot wait to work with us again on future projects and fundraising. Our family is continuing to grow and our message of love is spreading! "Chicks 4 Children" and Murray McMurray Donates Chicken Coop to StarShine Academy! The chicks are thriving in their new home. 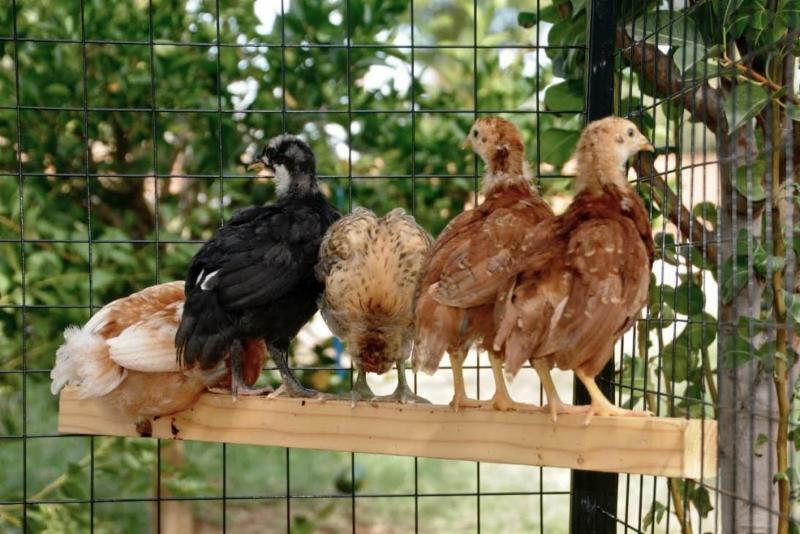 It is with beaming excitement that we "chirp" the news of donating a fully equipped chicken coop to StarShine Academy! StarShine Academy K-12 Charter School in Phoenix is an innovator in education and a School for Peace as recognized by the United Nations. We are thrilled to have partnered with Murray McMurray Hatchery to establish a sustainable garden and a humble coop for the 13 chicks that StarShine now calls their own! StarShine Academy agrees with Global Family's Chicks 4 Children sustainable campaign to end hunger and poverty worldwide while educating the children to commit to share the offspring and provide community outreach. The result is a plethora of eggs and chickens to raise, eat, share and sell! One chicken can truly make a difference! Starshine students gently holding newborn chicks. It is with sincere gratitude that we would like to thank Murray McMurray for their generosity in donating the wood hutch, the welded wire pen, feeder and assisting with purchasing local feed and a flock of 13 chicks! Trish and Steve McCarty rallied the community and Starshine kids to rebuild the garden and welcome the new flock. 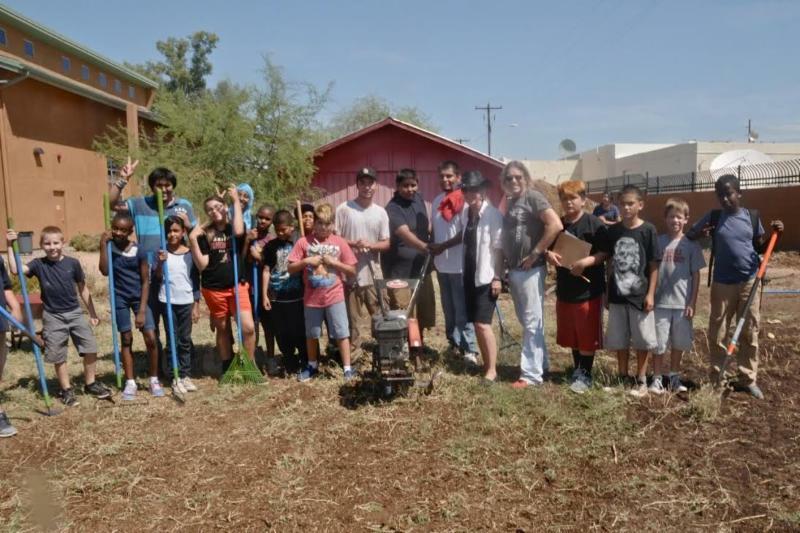 On August 26th, members of the StarShine Academy K-12th grade community came together to rebuild the garden, erect the coops and welcome thirteen baby chicks to their StarShine family! Global Family and Chicks 4 Children is confident that this project will be a wholesome, enriching experience for all the scholars and staff. Thanks again to our partners at Murray McMurray! We're looking to collect the following items for House of Hope, House of Refuge and the Sunnyslope Youth Center. These are organizations that we support in Arizona. Non-perishable snack foods - granola bars, dried fruit, chewy fruit snacks, beef jerky, chips, coffee, etc.